It’s time for Karen’s Killer Fixin’s! Over the years, I’ve filled two 4-inch, 3-ring binders with my own creations as well as recipes my family and friends were willing to share with me. 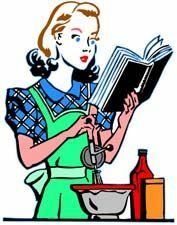 I simply love to cook and want to share that love with my readers. So every Friday, I share one recipe I think you and your family might enjoy. It might be a main course recipe. A cookie or baked item. Candy. Salads. Whatever strikes my eye and fancy…which today is SNICKERDOODLE COOKIES! A lot of people have recipes for Snickerdoodle Cookies but this is my version. One of the reasons I love it is because it makes so many wonderful cookies. If you need cookies for a school bake sale, this is the recipe for you! No, these won’t be those, “I forgot to tell you, Mom, but I need a million cookies tomorrow” cookies. But they’re so yummy and worth the effort. P.S. We’re at 372 recipes and counting with this posting. Hope you find some recipes you like. If this is your first visit, please check out past blogs for more Killer Fixin’s. In the right-hand column menu, you can even look up past recipes by type. i.e. Desserts, Breads, Beef, Chicken, Soups, Author Specials, etc. DAY ONE: Mix softened margarine and sugar together until creamy. Add egg; mix until well blended. Sift and measure flour. Add soda, salt, and cream of tartar to flour and sift again. Add sifted dry ingredients to wet ingredients and mix together until well blended. Put dough into a smaller bowl. Cover, label, and store in the refrigerator. In another small bowl, mix together sugar and cinnamon. Cover, label, and store. DAY TWO: Heat oven to 400 degrees. Check oven racks. Wash hands. Roll pieces of dough into balls about the size of small walnuts. Balls of dough should be about the same size. Roll balls in sugar/cinnamon mixture in small bowl. Place 2 inches apart on an ungreased baking sheet. Bake at 400 degrees, 8-10 minutes. Cookies will be soft. I enjoy snickerdoodles especially during the summer. My late husband’s favorite cookie! Thanks for the recipe. Thanks for the recipe. I’ll add to my others. Interesting that it takes two days to prepare these. I am tempted to try them, but I would need to cut down the size, lol. Thank you for the recipe!